Jawbone on Thursday published an open letter to Up owners, announcing a refund program for dissatisfied owners of the company’s step and sleep tracking armband. The $100 Up was released in early November. The band is meant to measure the steps you take, monitor your sleeping patterns, and wake you up at the ideal moment through vibration; it connects to an iPhone app to store your tracked data. Some folks, however, found that their Up units died suddenly within the first week of use. 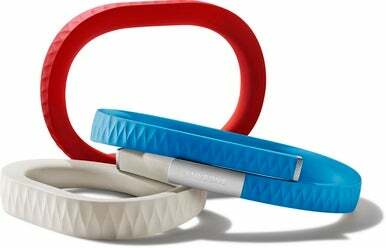 Jawbone has been replacing afflicted Ups for free—though some customers end up with replacement bands that suffer a similar fate. The refund program starts Friday; full details are available at Jawbone’s website. Rahman writes that “this program is simply meant to offer peace of mind”; customers can continue using (or buying) the Up, and know that they’re safe should the product fail. And fail it might. Travis Bogard, Jawbone’s vice president of product management and strategy, told Macworld that company is “still digging into the differences between bands that are working great and those that aren’t, so we’re not at the point where we can say here’s the root cause that we’ve pinpointed.” So while the company knows the core issue is related to capacitors, it’s not yet certain why some fail and others don’t. “We have not announced a date for starting production again” with new or updated internals, Bogard said. Some customers have also complained about the Up’s cap (which covers the plug you use for syncing and charging), and some have complained about the iPhone app’s feature set. Said Bogard, “We’re definitely looking at all feedback. We’re iterating on the software… We’re replacing bands or caps. Our support policy has been very liberal” in terms of offering free placements. Bogard emphasized that while Jawbone is taking the dramatic step of offering refunds even if you choose to keep your Up, that the majority of Up owners haven’t reported any complaints. That said, “even one complaint is more than we want to have.” In explaining the refund offer, Bogard said, “We think people generally want to and will do the right thing. Fortunately, we’re in a position as a big company to be able to do this type of thing, and we think it’s the right thing to do for our customers.